In the Harry Potter series by J.K. Rowling, there’s an interesting moment when educational rights are discussed in the wizarding world. In the final book of the series Harry Potter and the Deathly Hallows the three main characters Harry, Ron, and Hermione, are in hiding while the dark wizard Voldemort takes over the magical world. Their friend and former professor, Remus Lupin, visits them to share an update on the current happenings of Voldemort’s quiet takeover. 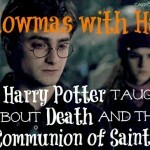 As he shares the laundry list of Voldemort’s evil doings Lupin mentions that the dark wizard has outlawed homeschooling. While most children in Great Britain attended Hogwarts School of Witchcraft and Wizardry, a few families opted to educate their children at home. But under Voldemort’s regime, they no longer have that choice. It’s easy to miss this brief conversation about homeschooling rights in the magical world, but I think it’s significant and if we examine Rowling’s critique of certain educational systems in the series we’ll find it’s relevant to us muggles, too. 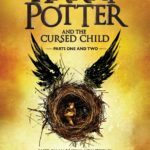 While the entire series revolves around education (it takes place at a wizarding school, after all), the fifth book in particular highlights educational methods. In Harry Potter and the Order of the Phoenix Dolores Umbridge, a Ministry of Magic (wizard government) employee, enters the scene and is runner-up to Voldemort for the most despicable character in the series. Umbridge is appointed the Defense Against the Dark Arts professor and she seeks to control education at Hogwarts in order to serve ministry interests. Children in her class are not taught to reason, explore, or create. They are taught to memorize and take standardized tests. They are taught to turn off their brains in order to accept whatever the ministry wants to feed them. Umbridge uses the weapons of boredom and rote memorization to indoctrinate her students. Questions of any kind are not tolerated. The subject of Defense Against the Dark Arts that once contributed to students’ ability to fight dark magic is now a class devoted to ministry propaganda. Students are to memorize the information required to pass the standardized tests (Ordinary Wizarding Levels) at the year’s end. Anything not on the test is considered unnecessary and to be avoided. Rowling is severely critical of Umbridge and her method of so-called education. And it’s the legislation Umbridge puts in place that leads the way for more government control over Hogwarts and the eventual educational decree that outlaws homeschooling. Why would the Ministry of Magic want to limit choices for education? Because controlling the minds of children is crucial to the concerns of the state. When anti-clerical socialist President Calles of Mexico waged the Cristero War against religion (executing or expelling 4,000 priests between 1926 and 1934) one of his primary methods of attacking Christianity was to close the parochial school system. He knew that to maintain power, his political party must have a monopoly on education. “We must enter and take possession of the mind of childhood,” he claimed. The Cristero War isn’t fantasy literature, of course. It’s history. But let’s get back to the wizards. 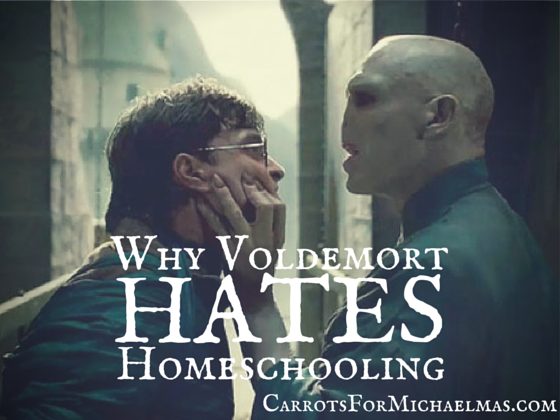 Why did Voldemort want to criminalize homeschooling? He wanted to indoctrinate children with the sort of “education” that would make them controllable members of his society. If he can dictate the curriculum in schools and force families into one method of education, the minds of the youth are under his control. In the series, we don’t meet any characters who are educated at home. From what Lupin says, the number of homeschooled students is negligible. So why even bother outlawing homeschooling? It prevents families who have their children in school from making the decision to remove them if necessary. Because now as parents wake up to the slow shift of ministry control over Hogwarts, they don’t have the right to pull their kids out. They are required to be there and truancy is punishable by law. I don’t think homeschooling is the only way to get a good education and clearly, neither does Rowling. The plot of all her novels revolves around an excellent school run by dedicated teachers who are devoted to their subjects and their students. The school is beloved by it’s students and as readers, we come to love it, too. It’s almost as if Hogwarts itself is a main character in the story. So obviously Rowling doesn’t wish to vilify education outside the sphere of homeschooling. Not at all. But she is incredibly perceptive as to the dangers of certain educational ideologies and any attempt to discourage parents from educating their own children if they so desire. Educational methods that discourage thinking for oneself, understanding logic, questioning assumptions, and nurturing creativity should make us incredibly wary. Education should offer us the resources to become humans being who thrive, rather than churning out future contributors to an economy. And legislation that seeks to diminish parents’ rights to choose the best kind of education for their family should alarm not only homeschoolers but families using traditional schooling as well. It should be something we all care about whether homeschooling or using traditional brick and mortar schools, wizard or muggle. Fortunately for families of Hogwarts, their children already had a foundation in both virtue and critical thinking. 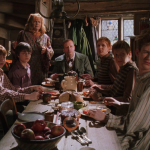 Due to strong, connected families (after all, wizard children don’t begin school until age 11) and after being influenced by wonderful teachers like Professor Lupin, many students were able to resist the oppressive system Voldemort put in place. In fact, it’s the efforts of Ron, Harry, and Hermione and the student resistance movement at Hogwarts (as well as some courageous teachers) that end up saving the magical world. This is the kind of strong foundation I want my children to have–whether we continue to homeschool or send them to a classroom–so that they have the ability to recognize the dark wizards of their time and have the courage to fight for what’s good, true, and beautiful. 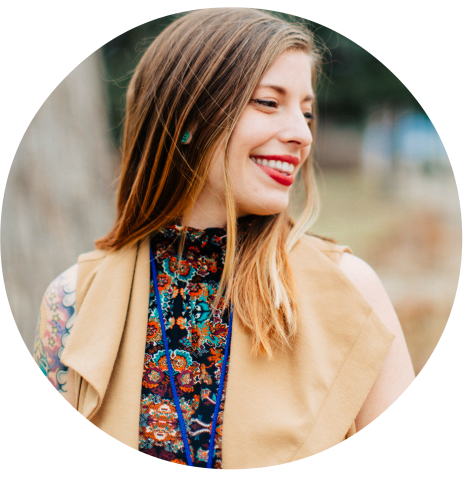 Excellent article Haley – thanks! Love this, Haley! As a former homeschooler and lover of truth, virtue, education and Harry Potter, I just loved this post! Great post, Haley! Not trying to start a debate or anything, but Ken Ham talks a lot about how our public school system in the U.S. is indoctrinating children with atheism as evolution is taught pretty much as a fact instead of as a theory and no alternative theories are taught. If we can’t believe in the authority of the Old Testament (for example, the Creation of the world or the Flood), how are we to believe in the authority of the New Testament (the Virgin Birth or the Resurrection of Our Lord)? I found that to be pretty relevant with so many young people turning away from the Church in today’s culture. I had a public school education, but I also had parents who were dedicated to my education and were very involved with everything I was learning. I think you are spot on in your post that parents whether homeschooling or utilizing a public education system ought to be aware of and concerned with any legislation seeking to limit those options. Thanks, Hannah! It’s kind of another matter entirely, but just to clarify, there is room for belief in evolution in Catholicism. Pope Pius XII declared that “the teaching authority of the Church does not forbid that, in conformity with the present state of human sciences and sacred theology, research and discussions . . . take place with regard to the doctrine of evolution, in as far as it inquires into the origin of the human body as coming from pre-existent and living matter—[but] the Catholic faith obliges us to hold that souls are immediately created by God” (Pius XII, Humani Generis 36) So I think I understand what you’re saying about evolution without a Creator being taught, but I just wanted to mention that you can be Catholic and believe in evolution as Scriptural passages in Genesis about Creation aren’t meant to be read literally the way parts of the New Testament are. (St. Augustine has some great stuff to say about Genesis that Daniel and I found really helpful!). “as Scriptural passages in Genesis about Creation aren’t meant to be read literally the way parts of the New Testament are. ” You had me throughout this whole article, but you lost me in this comment. Does it require too much faith to believe that God could create our world in this manner? Have you truly prayed and asked God to reveal HIS truth to you about creation? Not just studied St. Augustine? I can’t imagine living life as a Christian and not believing wholeheartedly the story of Creation as it is written in Genesis. I’m very familiar with how to read the bible. I choose to believe what the bible says, that God created the world in 7 literal days. But I do want to clarify, for the record, that I totally repect that other people can believe how they want and teach their own kids as they see fit, including theories of Creationism. The one thing that bothers me about homeschooling, is that some parents may use an Umbridge technique and discourage any thinking or any influence besides their own. Hopefully that happens few and far between, because the homeschooled kids I have met, with very few exceptions, are very smart, well-rounded kids. I just think it is important to note that while kids may not be susceptible to government programming or whatever in homeschool, they are susceptible to extreme fundamentalist programming if the parents aren’t well-rounded themselves. But, I guess this could happen anyway, with or without homeschool. And, sincere congratulations on your upcoming move. So exciting!! Love this so, so, so much!! I’m glad you mentioned this, it’s interesting food for thought! 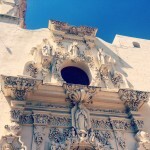 Seriously, read this article: http://creation.com/do-i-have-to-believe-in-a-literal-creation-to-be-a-christian. If Genesis is meant to be poetry, why would it set the stage for the whole reason that Jesus needed to come and save us?! Just because we say Genesis is poetical does Not mean we’re saying it’s fictional. Embracing a literal definition of day is even ignoring the original language of the text. The word commonly translated here as day isn’t defined as a 24 hour period in the original language. but honestly arguing creationism here is silly and completely off track about what this post is about. Seriously, read this book. It’s by Pope Benedict XVI himself. You are welcome to believe in a literal 7 day creation, but the Pope does not, and he is the Vicar of Christ on earth. Whenever you bring in regulation, you create bureaucracy. Once created, bureaucracy exists for its own propagation- necessitating ever more regulation, and creating a vicious cycle. I lived most of my adult life in Russia (read “The Inspector-General” on Russia and bureaucracy) until moving back to the States a few years ago. Believe me, you give bureaucracy an inch, it won’t stop at taking a mile, it will just keep going. Only in the most urgent situations- i.e., those with the potential to negatively affect the majority of citizens-should we encourage regulation. And while I have seen some catastrophically awful homeschoolers, I would not ever support regulation of homeschooling. That is the point of homeschooling, isn’t it? The right of parents to raise their own children. Are some parents restrictive? Undoubtedly. But this is not the same as the government insisting on one mold for the children of the nation. While we can legitimately claim the right as citizens to object to the brainwashing of the nation’s children to support the party line (potentially limiting our own personal freedoms), we have no right to object to what a parent chooses to teach his child. If I am restrictive and you are not, we still have diversity and interchange of ideas when those children are grown, and actually, just knowing there is another viewpoint allows those children to eventually have some independence in thinking. Our differing educational concepts do not impose on the rights of other citizens. Beyond all of the incidentals (for example, that even homeschoolers who provide a poor education are still no worse than many public schools), the principle of my right in the republic as a free citizen to behave as I believe is right UNTIL I impose on your ability to behave as you believe is right, at which point we address it in law, is so fundamental to the functioning of a free society that it is the first and governing principle. I was taught at home, my first job was at an American public school, then I taught for a few years at a Russian public school, tutored some Israeli children who for religious reasons could not attend the Russian school for a few years, was an assistant professor for quite a bit longer at a Russian university, finally coming back to the States and teaching briefly at a Christian school before my last child was born. So I am not speaking only from the point of view of a homeschooler. I certainly haven’t seen it all, but I’ve seen a lot. And this is an important issue that really brings it down to what your view is of the relationship between the state and the citizen, and the importance of freedom vs. safety. Think carefully; regulation is a slow slide into a bureaucracy-ridden nanny state. Haley, I was just thinking that this Congress may well have a few deatheaters. You are not alone, I have not read them either. And I also gained much from this article. I agree, you should read Harry Potter. An easy way to do it if you’re in the car a lot is to go to your library and check out the audiobook and listen to it. You will be hooked. The movies are good, and follow along, but because of the length of the books, they had to cut out some great parts of the story. Here here! I agree that Rowling knew what she was thinking when she included little asides like that. Voldemort wants to control the masses, because he thinks he knows what will make a better world (though his thinking is twisted and corrupt). Indoctrination in children is the way to make moldable adults. There are definitely parallels in reality. 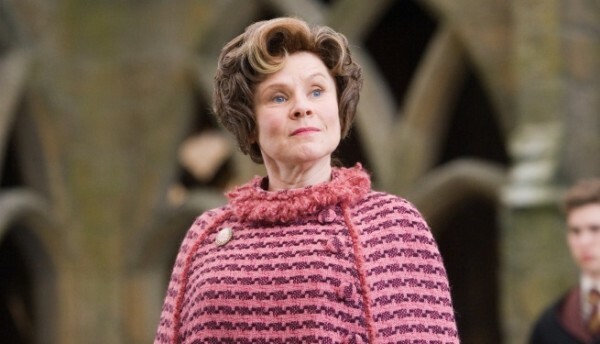 Also, I don’t know when I’ve ever HATED a character more than Umbridge! I think she’s WORSE than Voldemort in her own way! Hmmmmm please write about the church and views on evolution sometime including Augustine’s confessions and what has helped you personally as you reconcile science and the church. How will you address evolution when educating your kids? I do think evolution is a part of God’s design; they are complementary yet complex and science points us to Truth and the source of Life, our Lord. Actually, in the wizarding world, the kids are home schooled until they’re enrolled in Hogwarts. Q. 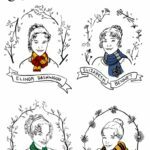 What education do the children of wizards have before going to Hogwarts? A. They are, as many of you have guessed, most often home educated. With very young children, as you glimpsed at the wizards’ camp before the Quidditch World Cup in ‘Goblet of Fire’, there is the constant danger that they will use magic, whether inadvertently or deliberately; they cannot be trusted to keep their true abilities hidden. Even Muggle-borns like Harry attract a certain amount of unwelcome attention at Muggle schools by re-growing their hair overnight and so on. Elsewhere, she said that some wizards may sent their kids to muggle schools. I doubt Voltemort would want the wizards to associate with muggles. The parents could then choose to continue to homeschool or send their kids to Hogwarts. Voltemort made Hogwarts manditory. I don’t remember it being spoken about in the book as an outlawing of homeschooling rather than manditory enrollment into Hogwarts. So the home schooling up to age 11 doesn’t appear to have changed. This reminds me of the vaccine debate (NOT to bring any of the specifics up) — whether or not you vaccinate, do you really want the Government to be able to force you to put anything They say into your child’s body? Or your body, for that matter? [Orwellian capitals fully intended 🙂 ] Whether or not you choose to homeschool, do you really want the Government to have full and total control over what is put into your child’s mind? (And yes, obviously you have the opportunity at home to counteract that, so I am somewhat simplifying, but … I believe that is what the government’s intentions are heading towards) And I do very much see the day coming when Catholic parochial schools are closed in this country, because some of what they teach contradicts the Party Line on certain topics. So it seems to me that it is a question of how much power the Government should have, not actually a question of what/how should be taught or put into our physical bodies. **I sort of feel like I should add — I DID not mean that if you send your kids to public school, you are giving the Government total control of your child’s mind! Certainly not, and there are great reasons to use the public school system as it stands now. Rather, I meant that if the Government were to close down private/parochial schools and/or outlaw homeschooling, or overly regulate these other options, *that* scenario would be the Government taking total control over what goes into a child’s mind. Are you referring to the Harry Potter books by J.K. Rowling, Salina? Rowling is not an atheist. She is a member of the Church of Scotland. Dudley was a Muggle, raised by Muggle parents who did their best to suppress Harry’s inborn magical abilities. They were not a wizarding family. My kids did want to point out that even with Voldemort’s decree that children not be educated at home, that was not for the bulk of the children residing in Great Britain. That decree was only for magical children. Voldemort’s decree would have no impact upon Dudley Dursley and his fellow muggle friends. You are awesome! thank you for sharing! I believe in book 2, Rowling mentioned Home Education already by telling that some wizard children just enter a muggle primary school, but that there are parents who home educate their children before they enter Hogwarts. Dear Haley, I just wanted to let you know that your article was an entertaining and well reasoned article about education as a whole, and the insights HP provided. Whether Rowling intended to or not, she gave us a perfect analogy. As a homeschooler, and an educator of many as well, I see the impact of our system every day. 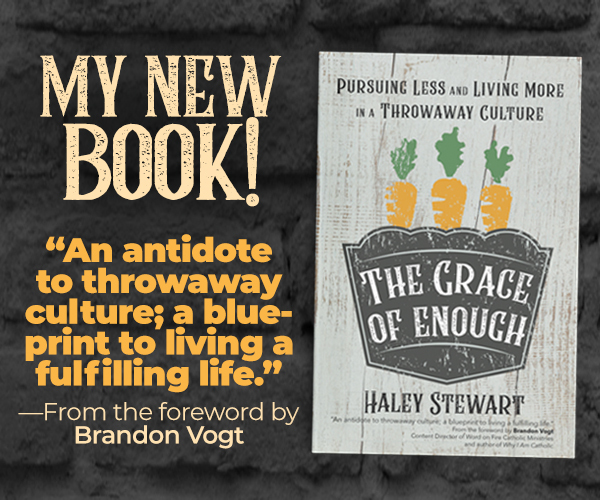 Oh Haley, stirring things up again – in the most wonderful ways! This was a great post. I might just have to pick up the HP books for the fourth time. We plan to homeschool our daughter and are thankful for the right to do so. I am hoping she will allow me to read HP aloud to her when she is older. It will make for a wonderful addition to our curriculum (which will include varied subjects, such as religion, scientific theories, and Biblical literary forms – just sayin’). Please keep the homeschooling articles coming!!! I have lots to learn about it in the next two years. My family & I had the most wonderful conversation about this post over dinner! My 2 oldest boys & husband are HP fans (as in have read the series at least 7 times & grill each other on facts!). When I brought this post up, they immediately began citing excerpts of the book backing homeschooling. None of us had considered it really until your post. Thank you for a thought-provoking dinner topic! This is perhaps my favorite post, it’s all sorts of awesome!! Thanks for sharing! I totally missed the bit about homeschooling! Good catch and great analogy! 🙂 I think I need a poster in our homeschool room “Voldemort Hates Homeschooling!” Haha!